This time of year I see a huge uptick in blog readers looking for felt food patterns. I suspect it has something to do with all those little kitchens Santa brought. In an effort to supply your chef with the widest choice of ingredients I present all of American Felt and Craft’s free felt food tutorials in one place. 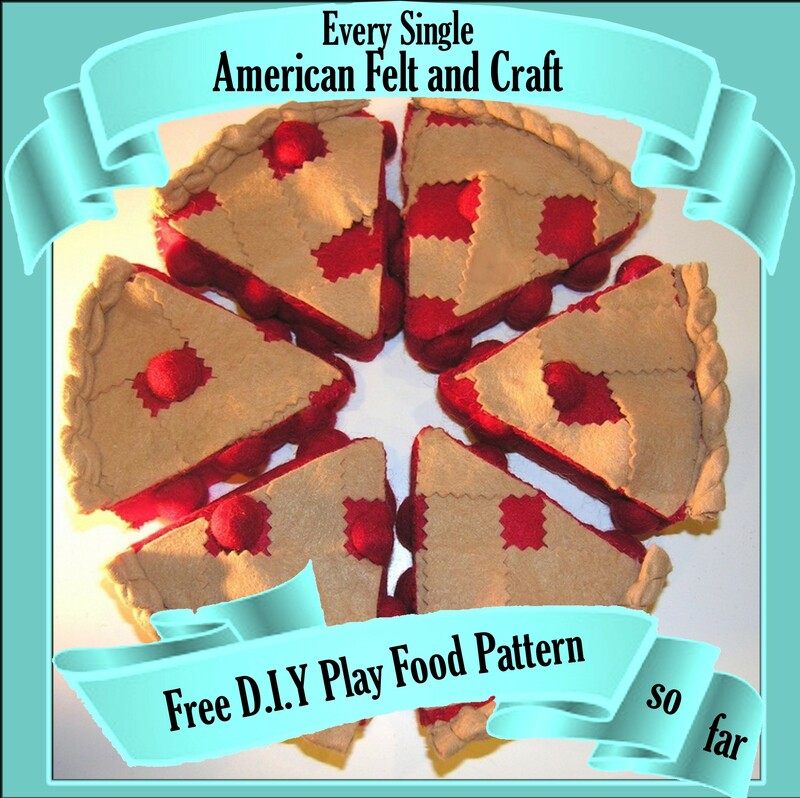 Just click on an image to see the free tutorial for DIY play felt food. Simple carrot made in sections secured with hook and loop for an added dimension to your felt food crafting. My personal favorite free felt food blog tutorial is ‘Salty Crackers’ patterned after the classic Saltine Cracker – they are just on the fun side of quirky. A free felt cherry pie tutorial in six fun slices. Also looks great under a decorative cake dome. Tiny tea cakes make a wonderful and simple addition to your felt food crafts. Try your hand at wet felting with this felt jelly bean tutorial. A fun felt food pumpkin pattern and tutorial – a must for any felt foodies farmers market. A simple no sew felt cookie for your cookie jar. The classic reins supreme these sweet felt cookies are made in minutes with our easy felt food tutorial. Beat the heat with a sweet treat – our free felt Popsicle pattern will walk you through making them step by step. Add this felt fortune cookie pattern to your crafting menu and the future looks full of fun! As Christmas tree decor or just a seasonal treat these felt candy canes are easy to make with our detailed DIY. This adorable felt and button sweetheart stuffie is a fun felt Valentines day craft that doubles as the perfect V-day gift for the older felt foodie. What fun or unusual felt food are you dying to learn to make? Leave me a comment and who knows maybe you’ll see the tutorial on ‘The Blog’ soon. 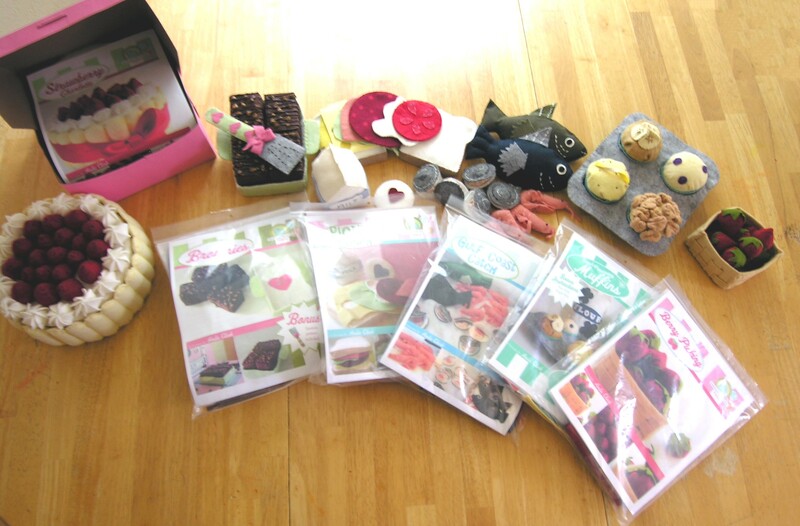 And in case you need some advice on making felt food why not check out our Felt Food 101 series. Also check out our felt food kits with nearly everything you need to make amazingly realistic felt food – as seen on Zulily! All available online right this very second!! 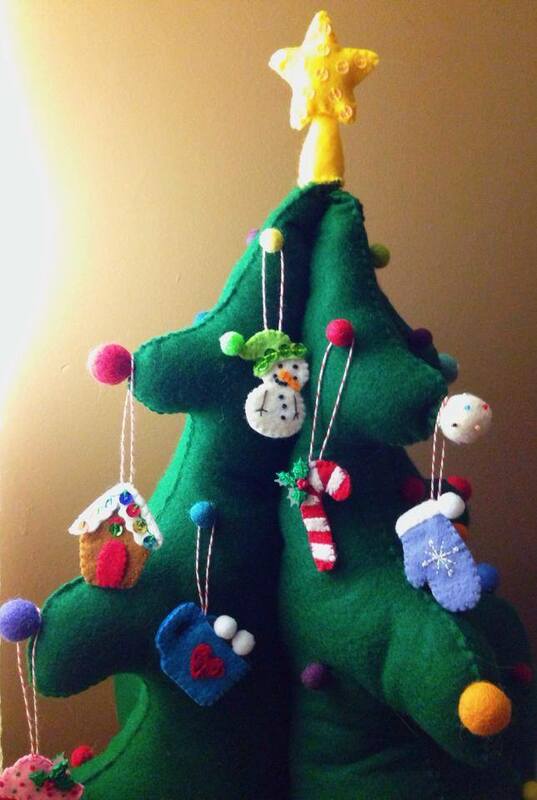 Stephanie from Imagine our Life has designed this super fun felt advent tree and is working on creating a special felt ornament to hang for each day leading to Santa’s big arrival. The felt star is attached with velcro and is totally removable! Each of her adorable felt ornaments hang from the felt balls which double as lights. Cute. Cute. Cute. 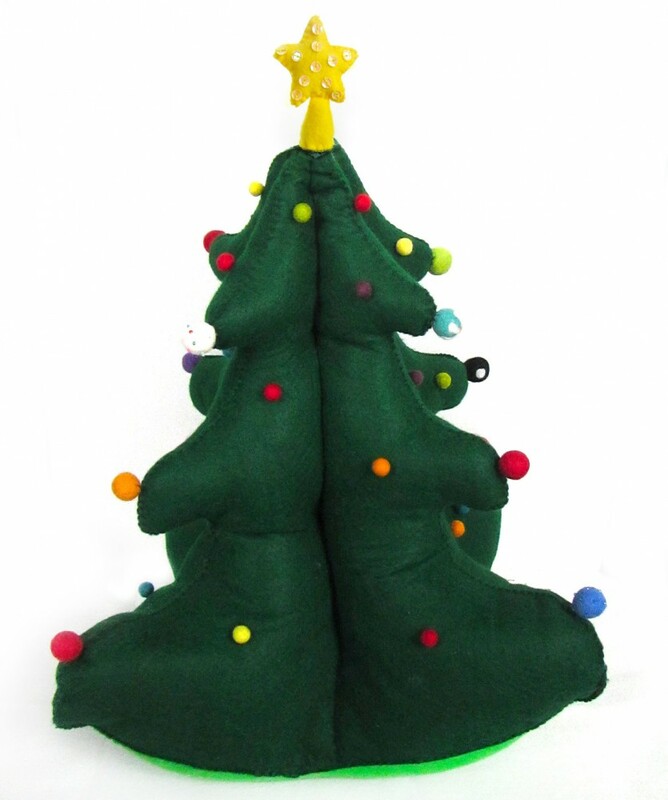 The felt Christmas tree measures 20″ high – the perfect size for the little elf in your home. Get the full tutorial on the Imagine Our Life blog! Don’t you groan, I waited a respectable amount of time before bringing up the C word! Stephanie from Imagine Our Life has created these AMAZING felt Christmas ornaments and shared the all the patterns on her incredible blog. Click on the links under each ornament for the FREE full patterns and tutorial! Overachiever tip: add a cotton ball soaked in vanilla or cinnamon and dried or a few cloves to stuffing for ornaments that smell as sweet as they look! Check out our Pinterest Boards for 1000’s more felt craft ideas!